Hi! I suppose you landed on this page because you are looking for Jolly summer delicious recipes. Guess what? I have three Jolly recipes just you. Just in case you missed my previous post, you can take a look at my Jolly Peaches and Cream Recipe, it's family tasted and tested. 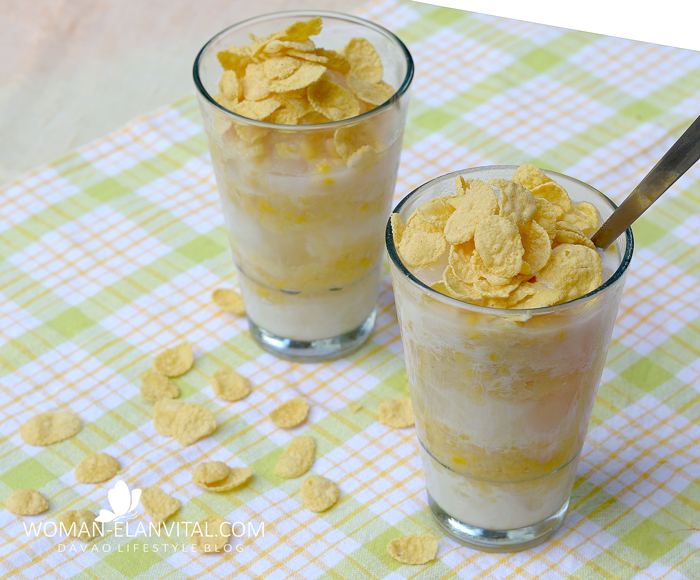 Another summer delight I’m sharing with you is Mais Con Yelo. 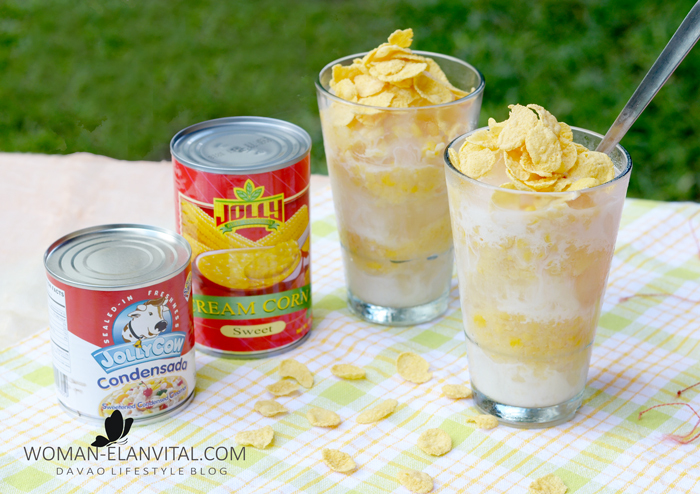 Mais Con Yelo is probably one of the most popular and celebrated summer coolers of the Filipinos. It’s a simple concoction of shaved sweet corn, milk, sugar and crushed ice. During summer in the Philippines one can practically buy a glass at makeshift cooler standys along the road. A glass or two are really perfect to cool the summer heat off. Sweet corn on the cob can sometimes be hard to source at the grocery veggies shelf especially when not in season. But thanks to Jolly, we’re given option that is easy and very practical. Jolly Cream Corn in a can will make your life a lot easy. Note: When you don't have an ice shaver, crushed ice can be purchased at the frozen section of grocery stores but the thing is, it will all turn liquid before you can reach home. So what I did was to make ice water and freeze it. I banged the frozen pack on the wall (lol) and blended the course ice and viola! I have fine mais con yelo ready ice. 2. Scoop the crushed ice to your preferred container and alternately put in Jolly Cream Corn. 3. Add in the milk mixture and sugar to taste. 4. Top it with corn flakes. 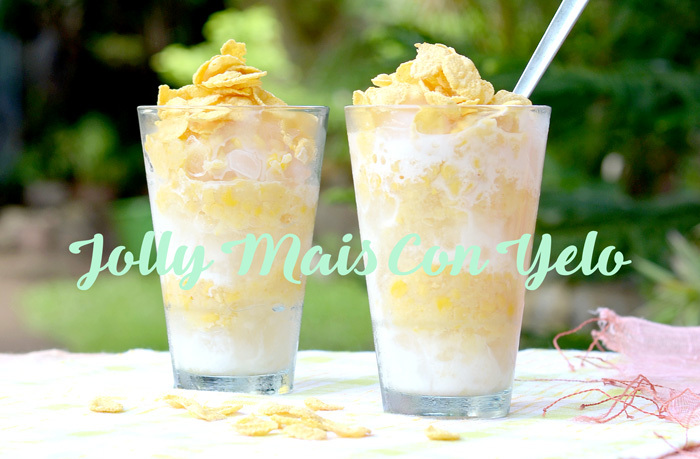 So there we have it, my family tested and tasted simple recipe of Jolly Mais Con Yelo. Jolly products are available in all groceries and supermarkets nationwide. Jolly Cream Corn and Jolly Cow Condensada is distributed by FlyAce Corporation. I was not compensated to do this post, but was only given products to try.